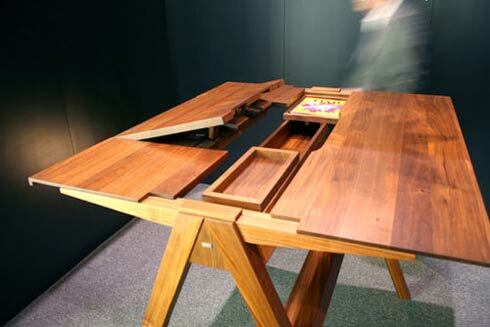 While reading about secretary desks, I came across a related type I had never heard of before, the mechanical desk. 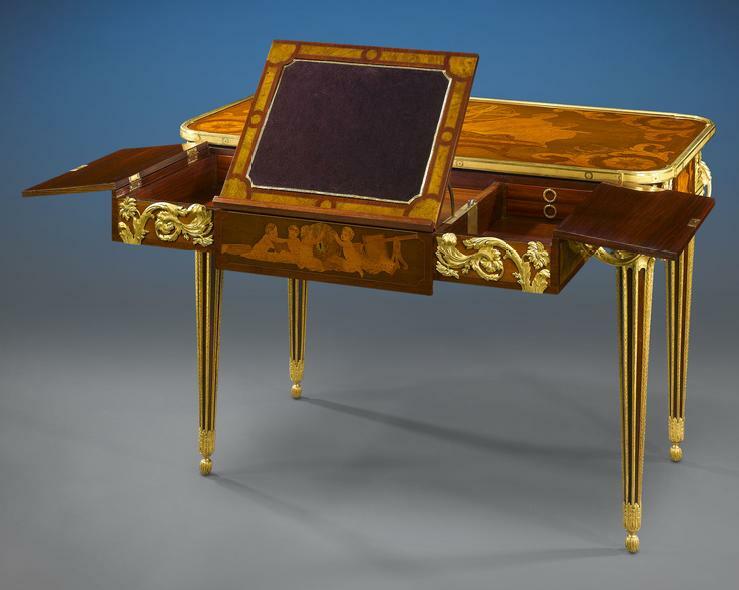 A fad of the 1700s, these desks featured mechanisms that hid shelves and surfaces when not in use. It’s a real shame that these didn’t make a comeback when computers became widespread. Computer desks were dreadful. While hiding a 21 inch CRT that weight 150 pounds wouldn’t have been easy, the idea hiding materials when they are not needed appeals to me. A modern interpretation of the mechanical desk is the Crescendo C2 from Stilvoll. I like how it looks like a drafting table, but expands to reveal bins. Of course, the role these bins play could have been solved with a traditional divided drawer. Still, this got me thinking. This is something I’m going to need to draw out. This entry was posted in architecture / furniture and tagged desks, make, stilvoll, video, woodworking on August 7, 2011 by jonathan.